The last couple of days I had the opportunity to attend a workshop to gauge the interest, questions, concerns and ideas about building a small UAS facility here at Duke. There were representatives from government agencies both federal and state, academia, and commerce. The use of unmanned aerial systems (UAS) has exploded over the last year, and sighting one around your local town has almost become a commonplace. With the increase of available and affordable technology, the regulations on safe, efficient and ethical use have lagged behind. By creating this facility here on Duke Universities Marine Lab’s campus, it will provide the opportunity to be the leader in using UAS for research in the marine sector. The goals for a facility of this kind would be to provide the proper education on platforms, data analysis, and regulations, to support UAS-based marine research, and to engage the local community to promote awareness and understanding of this technology. 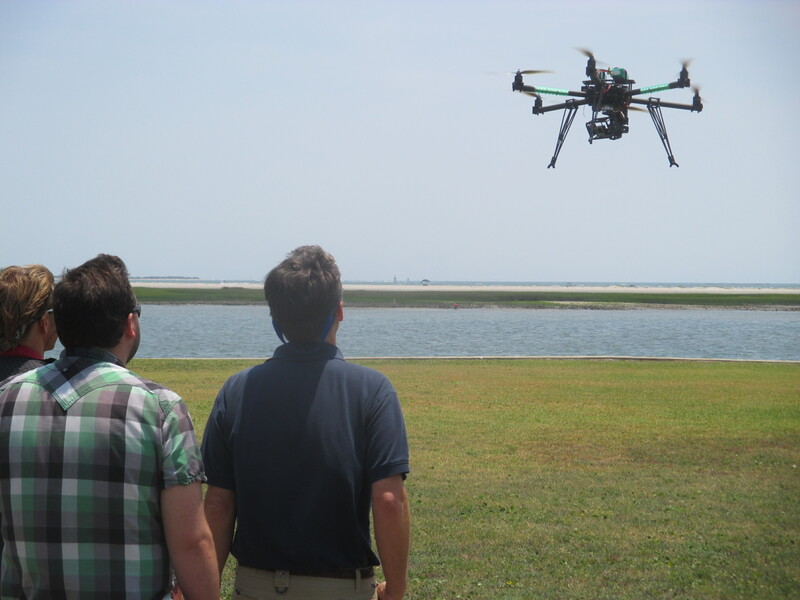 At the workshop, a variety of applications were shown for using UAS for marine research. A representative from NOAA, presented the ways that they utilize UAS. 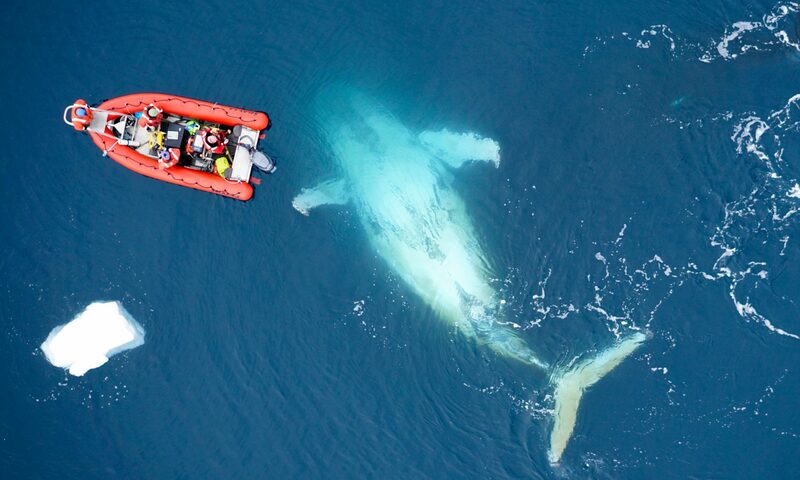 NOAA uses UAS to track weather such as hurricanes off the coast, to quickly and efficiently do marine surveys of anything from marine mammals to coastal areas, and to take surveys of the Polar Regions to track the changes occurring. Other representatives from academia provided the workshop with a plethora of applications for using UAS in the marine sector. Dr. Michael Moore, a senior research specialist from Woods Hole Oceanographic Institute, demonstrated how his research on the health of blue whales off the Chilean coast benefited from the use UAS to capture up close photographs of the whales. By doing so, they were able to look at the body condition of the whales, and easily tell if they are underweight or pregnant. Another application that was showed at the workshop was using UAS to map the density of sea grass beds. Here at the marine lab, a number of current research projects also utilize a UAS; specifically research on marine macro plastic and population surveys of grey seals in Nova Scotia. 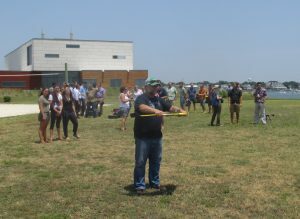 The response from the workshop was overall very positive and showed that there was support to build a small UAS facility here at the marine lab. The next steps entail meeting with specific partners to develop agreements about airspace, permitting and educational programs, discussing subsequent coordination such as yearly meetings and targeted workshops, and finally a way to network information with partners to share and inform them of new methods, platforms and research. This is an exciting and great opportunity for the Duke University Marine Lab to become the hub for UAS education, research and engaging in community outreach. Previous PostPrevious Humpback whale foraging visualization video online!